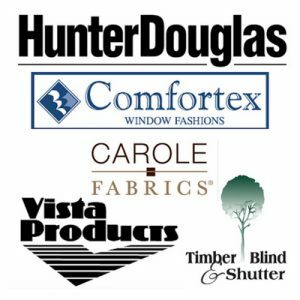 Are you tired of those old vertical blinds or window coverings? 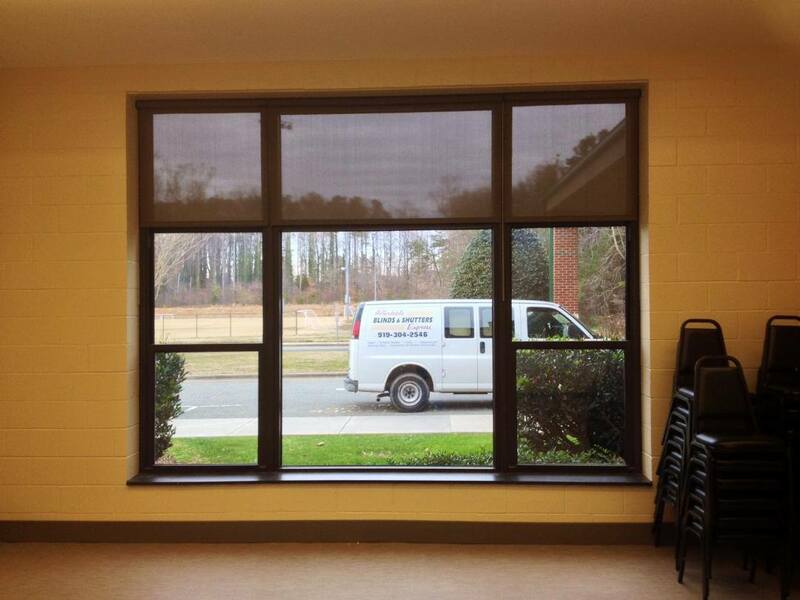 Take a look at how we can transform an entire room with just a new window treatment. 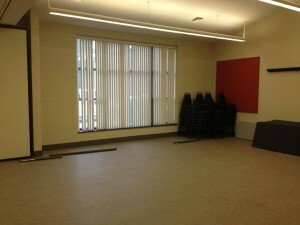 This is the community room at the Mebane Arts Center. 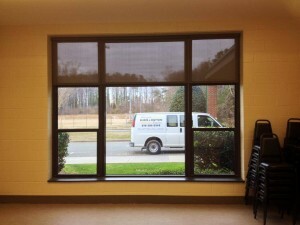 We replaced the old vertical blinds with new Solar Screen Shades which allows a great view from the interior without the glare of the sun. 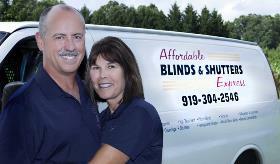 Call us today for a consultation and let us help you customize your home, business, or church!